James Martin is a former writer for TripSavvy, contributing stories for 14 years. He has worked as a writer, photographer, and webmaster traveling extensively in Europe since 1977. 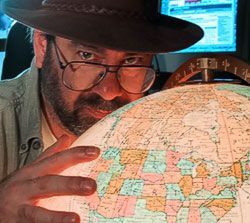 His travel photography has appeared in International Travel News and on four book covers, and his travel writing has been featured in print and web journals. He is a content writer for Bindu Trips . He has lived and worked as an archaeologist in Italy and Greece and has studied Italian at the University for Foreigners in Perugia, Italy. He has written about living in northern Italy at Wandering Italy and on the Wandering Italy blog. James Martin holds a B.S. degree in Electrical Engineering Technology from Bradley University and has done graduate work in anthropology at the University of California-Los Angeles and San Francisco State University. He studied photography with Ansel Adams and others at the Friends of Photography workshop.